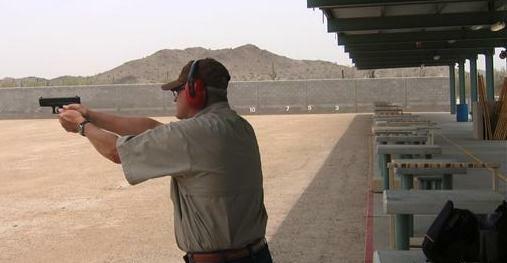 Arizona has probably one of the highest concentrations of small arms instructors in the United States and a large portion of them are located here in the Valley of the Sun. They range from serious professionals who engage in full-time small arms training to higly qualified part timers who simply enjoy doing it as a part time business.They also range from extremely good to, well, sort of O.K. A few are probably down right amateur. And I am sure that this applies to most locations. With the plethora of websites, ads, claims ect., how does a citizen, especially a new beginner, who is looking for quality training sort through all the claims and find the instructor that will provide them with the quality training he or she needs at a reasonable price? You shop around, and you evaluate all claims of expertise. Most small arms instructors (myself included) will advertise their wares based on their background and experience. These generally fall into three categories: Police, military or former competition shooter. So let’s analyze these experience criteria to put them into perspective. Police: Most police officers receive very little advanced small arms training. This training is expensive and most departments don’t have the funds to do more than the minimum training required by law. Police firearms instructors may have had the experience and opportunity to gain the skills required to teach you, and many members of SWAT teams get to train extensively and many are dedicated enough to spend their own money and time to acquire advanced skills from civilian training centers. So find out what your prospective instructor actually did in regards to firearms training while a former or current police officer, and for how long. Simply being an active or former police officer is not sufficient to qualify as a professional small arms instructor. Military: Even worse than police, the vast majority of members of the Armed Forces receive no training with handguns and only the minimum amount of rifle training for annual qualification. There are exceptions. Members of dedicated marksmanship training units such as the Army’s Marksmanship Unit and the Marine Corps’ Marksmanship Unit have cadres of highly experienced instructors who both compete and train a variety of both military and civilian personnel in various small arms skills. In addition, Special Operations types receive excellent advanced small arms training. So, ask your prospective instructor what he actually did in the military and if he taught small arms marksmanship for any length of time. Former Competition Shooters: Many former championship competitors have started small arms training schools around the country, and many of them give excellent training. And many of them are honest enough to advertise their training as learning primarily how to win shooting competitions, as opposed to winning gunfights. O.K., so you now know that much of the experience being advertised by shooting instructors does not necessarily qualify them to teach you the skills you need. You have to dig a bit deeper than just “10years LAPD” or “10 years USMC” ect. Perhaps one would be better served to simply only attend one of the big name schools such as Gunsite, or Front Sight. You will most definitely receive world-class training there, and pay a world-class premium price for it. But keep in mind that a lot of that premium price is for a piece of paper that says “Gunsite”, or “Front Sight” or any of the other top name schools on it. And there is absolutely nothing wrong with that. I have a Front Sight Legacy membership and I plan on attending some of their classes myself. But I am also aware that you can get equally good training from other instructors, and many of them have excellent training facilities available to them. You just won’t get a piece of paper with a famous name on it. This principle applies to all of the big name schools. It’s in the same class as a college education. You can spend a king’s ransom going to Harvard. Or you can get an equally good education at a less expensive and lesser known university. You just won’t get a diploma that says “Harvard”. So, what do you do? Here is a quick checklist of minimums. 1. Ask the instructor to be specific about his background. How much actual small arms instructing experience does he have? How long has he been doing it and for whom? Does he have any real world experience actually carrying and using small arms in potentially dangerous situations? 2. Ask for references and actually check them out. Most instructors and schools will have former students you can talk to. 4. DOES HE HAVE LIABILITY INSURANCE as a firearms instructor that will cover you in case of an accident? 5. Finally, never use cost of training as a serious deciding factor. There are expensive classes that are marginal and relatively cheap ones that are outstanding. It’s a buyers market out there right now in regards to small arms instruction. With a little homework, you should be able to find the training you need from a highly qualified instructor at a reasonable price you can afford. I posted this on our company blog some time ago, but with the article by AZWEAPONCRAFTPREPPER, it brings up several very important points. In his article, Mr. Mock makes the point just because the Instructor spent several years as an LEO (law Enforcement Officer) or served time in the military, they may or may not have recieved very in depth training themselves. I’ve know guys and girls who retired from the military and the only firearms training they receieved was in Basic Training and then qulaified on a random basis throughout their military career. Their career may have been in Supply or Avionics, etc. These are not bad folks, just un-trained. Below is a repost of an article that should provide a little guidance to help you find the correct instructor for you. this article deals with the NC Concealed Carry Handgun Permit Instructor, but the questions can relate to any other particular course or Instructor you are looking at for your training. What sets your Firearms Instructor apart from the others? The path to becoming a NC Concealed Carry Handgun Permit holder is a serious path to choose. The first step to take is to make the choice to carry a handgun for the protection of your family and yourself. Once that choice has been made, your next step is to locate a Certified Firearms Instructor who you can build a trusting relationship with. I say you should build a trusting relationship because this should not be a onetime interaction. This trainer should be someone you feel comfortable contacting with just about any firearms related questions you may have. Most instructors are chosen out of a phone book with no thought of whom this person is, or what their level of experience is; simply how much is it going to cost me to get my permit. I would suggest that you contact the instructor you are considering to take a course from by phone. You can learn more about an instructor by talking to them and asking questions than you can looking at a website that was put together by a professional website designer. The site may look cool and really stand out, but that is a reflection on the website company, not necessarily the instructor. 1. What current certifications do you hold? 2. Where did you gain your experience with firearms? 3. Where/when is the course held? 4. What is the average time length for this course? 5. How long have you been teaching this course? 6. What topics do you cover during this course? 7. What other courses do you offer? 8. Is the firing range outdoors or indoors? 9. 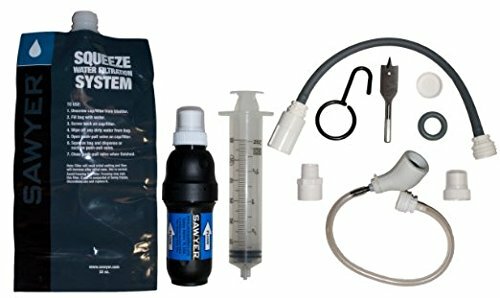 What do I need to bring with me to the course? 10. Can you help me if I require additional time to learn the materials? 11. May I contact you after I complete your course if I have further questions? 12. What is the cost of your course? Any instructor who can’t, or is too busy to answer these questions is one you will wish to avoid. To me this is a sign of someone who is only motivated by money and what you can do for them. A conscientious instructor is someone who enjoys teaching others the joys and responsibilities of gun ownership. These are the ones who willing stay after the regular class time have ended to help an individual who may require a little bit more time and instruction. They are also the ones who understand your commitment to protect your family and yourself. The world is scary out there, are you prepared for the things that go bump in the night? Excellent points and questions for prospective students. I sincerely appreciate your posting this Dave! One thing I like to ask a lot is what is the youngest / oldest person you have taught and what percentage are men and women who are beginners. Youngest, under 12 and shooting combat pistol, I walkaway. Oldest, I don’t really care but it acts as a counter to divert thinking away from the youngest. More men than women? I sometimes think that the instructor is banking on the fact that men come “pre-programmed” about guns. More woman than men? Brainy instructor teaching them with little or no preconceived ideas about guns. I have trained them as young as 16, however insisting that a parent or legal guardian be present, and a consent waiver be signed. Most of my students tend to be older males (over 30) of various ethnic backgrounds. I have on occasion done all ladies classes as I found that women tend to avoid classes which they think are male arenas (firearms being one) due to fear of being around too much “Mucho Macho”. I have found both in the Military as well as civilian small arms training that women tend, as a rule, to be easier to train than men. You don’t have to “reprogram” them. They tend to listen. I had one student keep interupting me explaining how “Grandaddy” taught him to do it. I finally had to explain to him that if “Grandaddy” knew what the hell he was talking about, he, the student, wouldn’t have come to me for instruction. Perhaps a bit hard on his ego, but I also had 9 other students who had paid for the class. He actually settled down and learned a few things. Sounds like we worked the same way. I’m a firm believer in girl power and made a lot of money betting against the guys in shoot outs against my “harem” as Mr. Macho and his brothers called them.